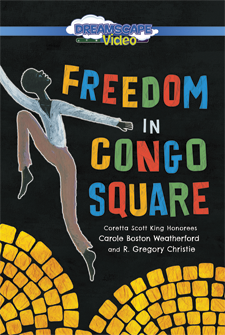 R. Gregory Christie is a three-time recipient of a Coretta Scott King Award Honor for illustration (Brothers in Hope: The Story of the Lost Boys of Sudan; Only Passing Through: The Story of Sojourner Truth; The Palm of My Heart: Poetry by African American Children), a two-time winner of the New York Times' 10 Best Illustrated Children's Books of the Year (in 2000 for Only Passing Through and in 2002 for Stars in the Darkness), an honor winner of the Theodor Seuss Geisel Award for illustration (Jazz Baby), and a recipient of the NAACP's Image Award. He operates GAS-ART GIFTS, a children's bookstore with autographed copies in Decatur, Georgia. You can find more about Greg online at gas-art.com.